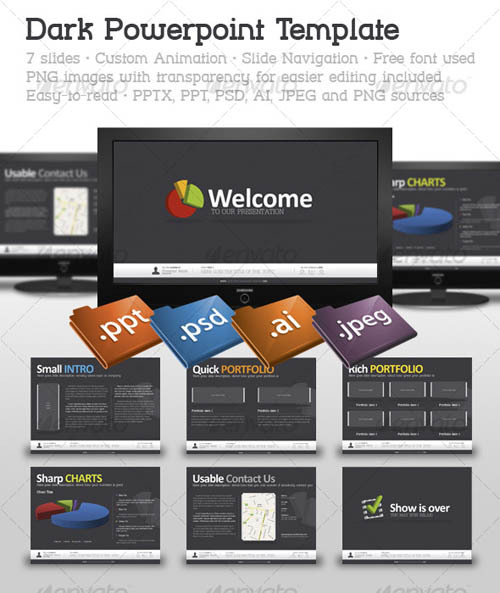 PowerPoint is a popular presentation tool required to support presentations and to make them impressive. 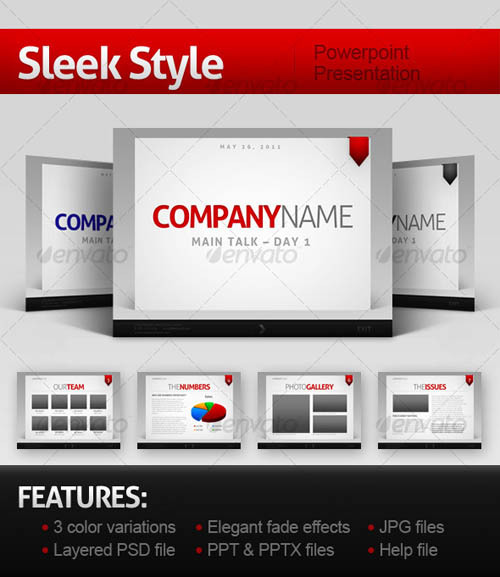 It is used extensively for business presentations as well as for class room lectures. 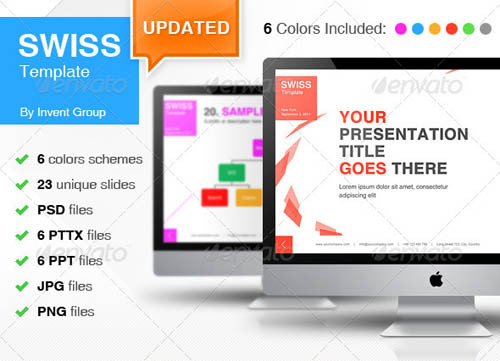 The background color and the designs of a PowerPoint slide will ensure better responses and increase audience attention, helping them focus on important issues. 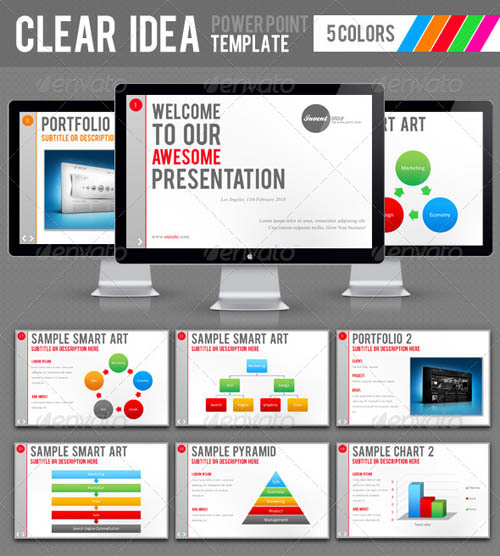 Here are 30 Best PowerPoint Templates can make your presentation captivating and is helpful for the in conveying your message easily to a number of audiences. 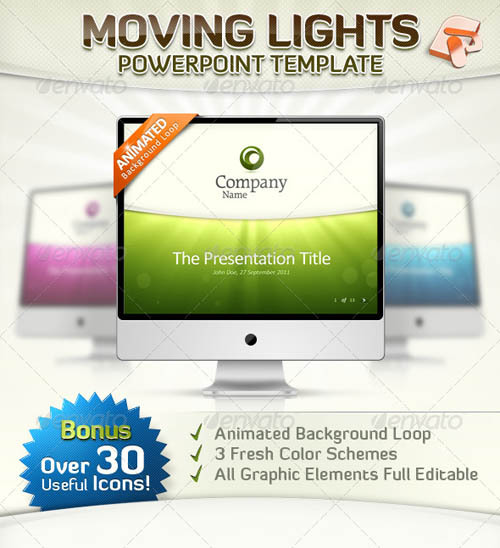 A contemporary PowerPoint template perfect for personal, business & corporate use. Very easy to edit content & change colours in both the PowerPoint & photoshop files. 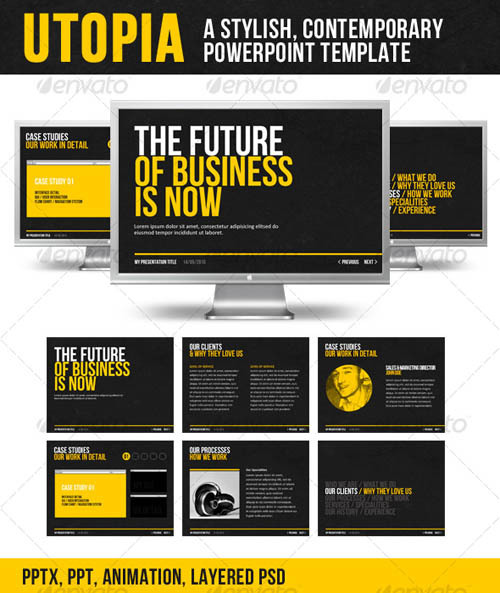 Clean, professional Power Point template with 22 unique slides.Template is perfect for business, personal and corporate use. Very easy to edit content and change colors both in Power Point and Photoshop files. 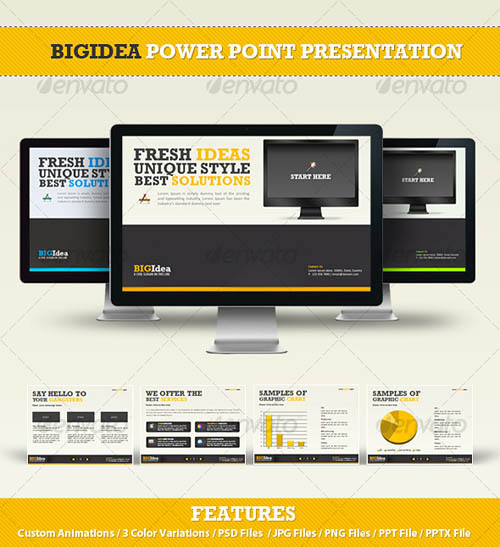 This Clean, Professional Power Point presentation template perfect for personal, business or corporate if they need a cooll design. A good presentation for a Agency or any type of business or event. Easy to change colors, text and photos. 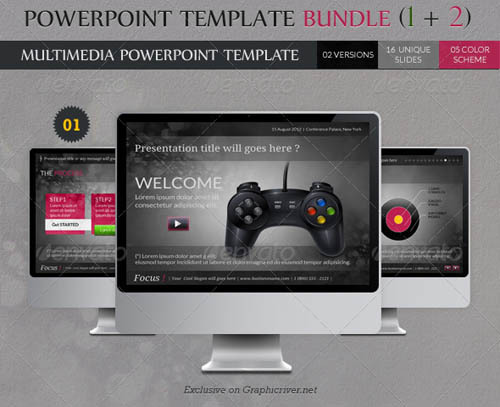 With the impressive background animations all the attention of your audience is guaranteed for your next presentation! 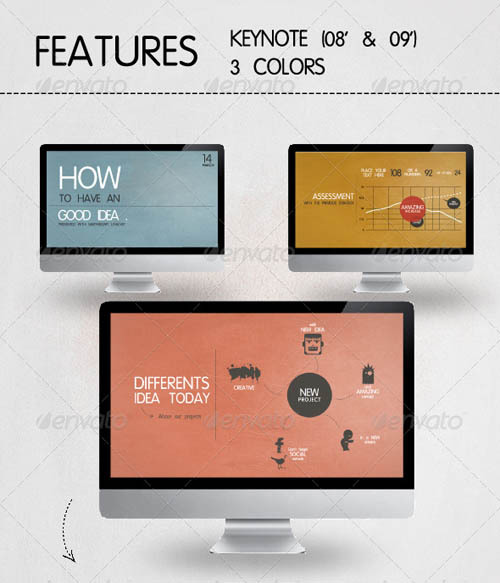 Three color schemes, 12 pre-designed slides und 6 master layouts will help you creating your presentation quickly. 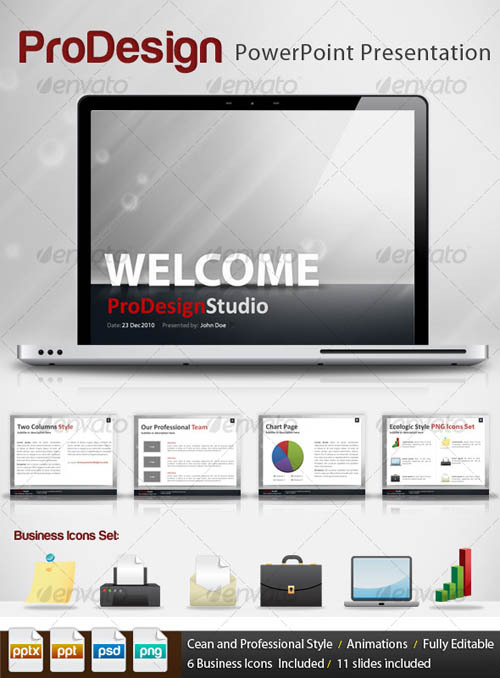 Perfect for personal, business and corporate use. Easy to change colors, text and photos. 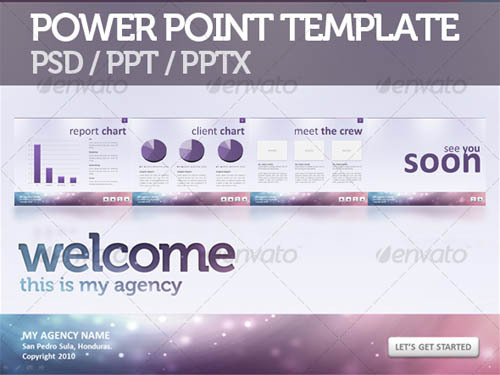 This template include: – PPTX file for Microsoft Office Powerpoint 2007/2010 – PPT file for Microsoft Office Powerpoint 1997/2003 – Adobe Photoshop CS3 source file, with 8 layers group, for each slide; 99% of layers are resizible (text, shape or vector smart layers) – PNG images with transparency, object from slides embeded in Powerpoint files. 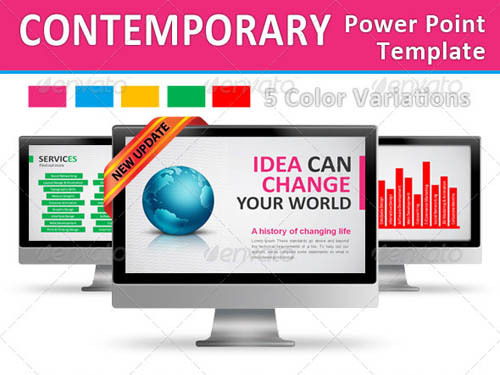 Contemporary Power Point Template utilizes a sleek design with clean functionality, ideal for any type of business.I have provided 5 different color variations: red, blue, Green, Orange and Pink. Each with their own seperate PPTX , and PPT file. 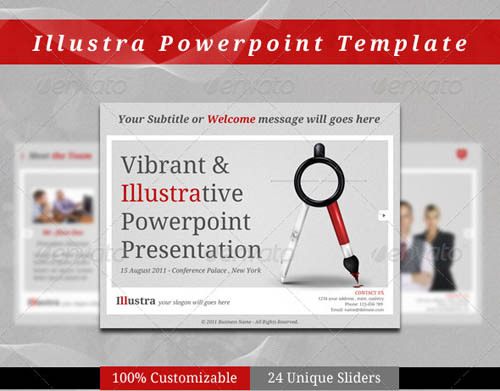 A stylish, contemporary PowerPoint template perfect for personal, business & corporate use. 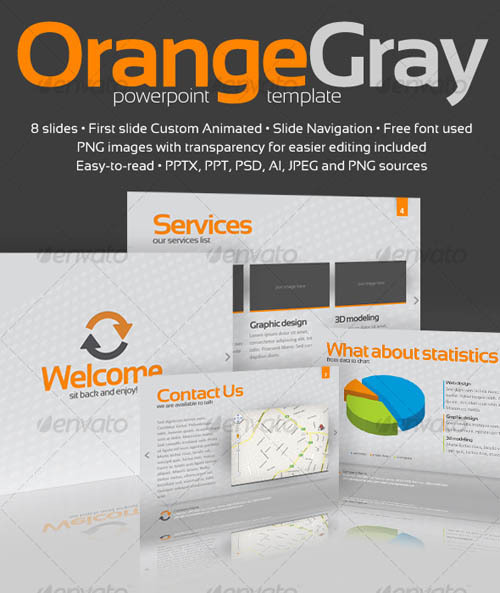 Very easy to edit content & change colours in both the PowerPoint & photoshop files. Includes subtle animation. 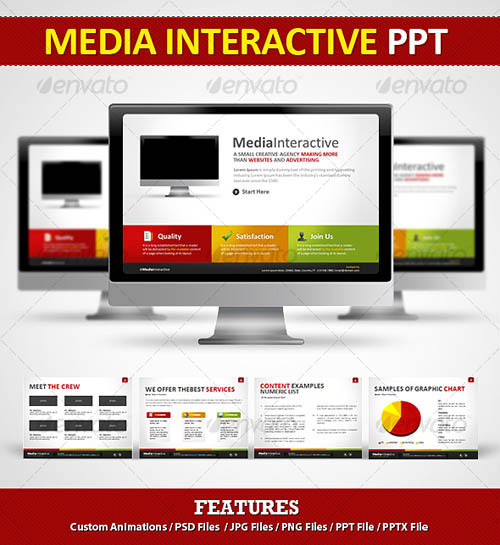 Power Point version is that two kinds of ptt and pptx. Diagram will be created in PowerPoint. This is not an image file. For example, the content is used. Users want fixed. 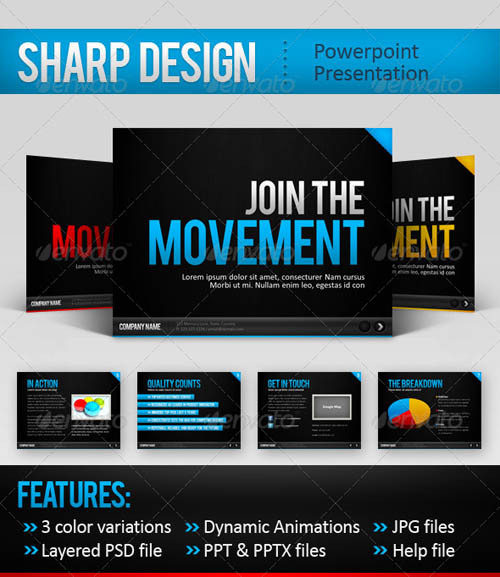 An Illustrative Powerpoint presentation, that comes With an elegant and dynamic style , ideal for any marketing concept. 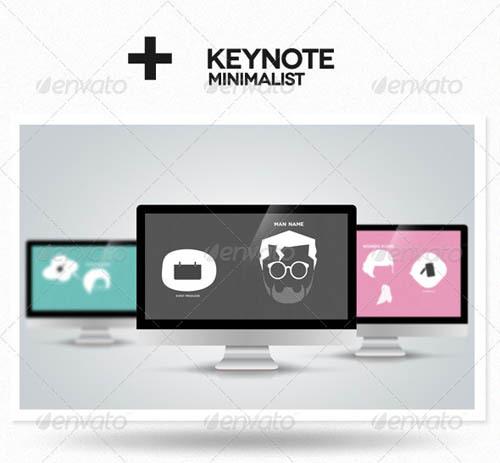 Minimalist powerpoint template is minimalist & elegant template to display formal corporate look in a simply style. 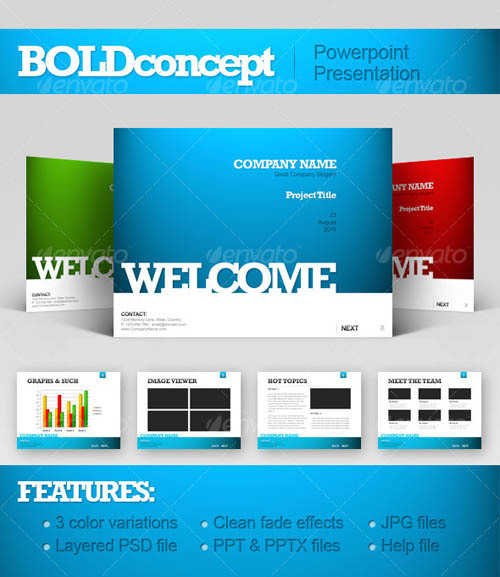 The four color variations make this presentation elegant. Drop in your own text and images. 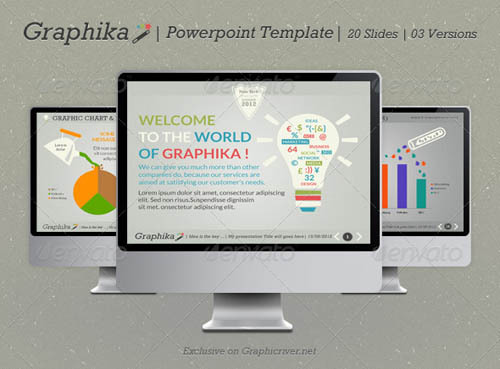 Graphika is a Creative and Contemporary Powerpoint Presentation, perfect for any personal or corporate use. Graphika comes With a Retro/Vintage style. It’s ideal for any marketing concept, and it’s carefully created with a goal to be 100% customizable: Each design element is separated, you can manage the way you want (delete, replace, move, add an animation effect, duplicate…). The professional look of “Graphika” is portrayed through the elegant and cool style with refined typography ( The Text is treated with a Letterpress Sytle in both PSD and Powerpoint files in order to be consistent with the general style of Presentation). When you buy “Graphika” you will get, as a bonus, a set of 10 differents icons, each one with 03 color versions. 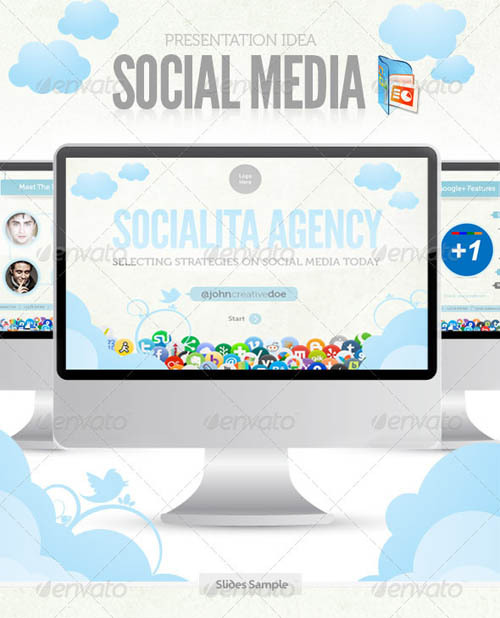 (PNG and PSD format included for each icon) . These icons are especially created to be consistent with the overall presentation sytle, it makes it easy for you to customize the presentation the way you want. 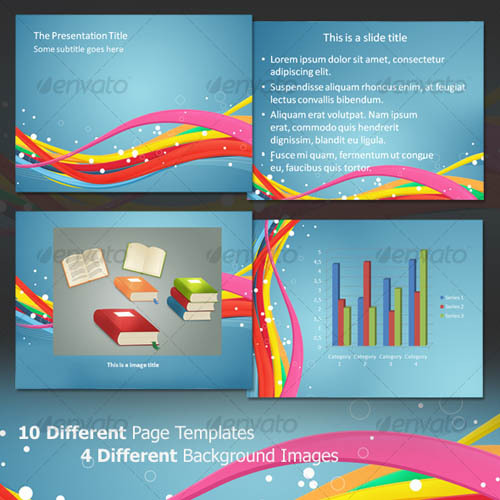 This PowerPoint template is designed in colorful and abstract style and it will be a good choice for presentations related with fun, joy, artistic, creative, decoration, design, effect, element, energy, fantasy, flow, communication, Internet, electronics, computer science, IT, scientific development, information science, business solutions, etc. 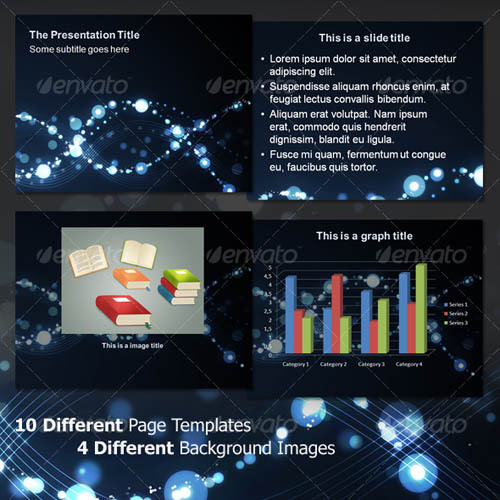 This PowerPoint template is designed in abstract style and it will be a good choice for presentations related with communication, Internet, electronics, computer science, IT, scientific development, information science, business solutions, etc. 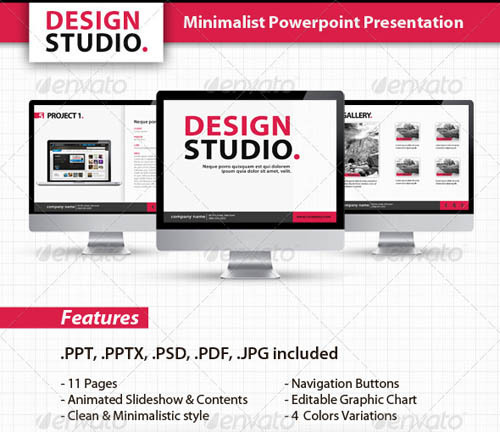 Clean, minimalist and professional PowerPoint template, perfect for business or personal use. 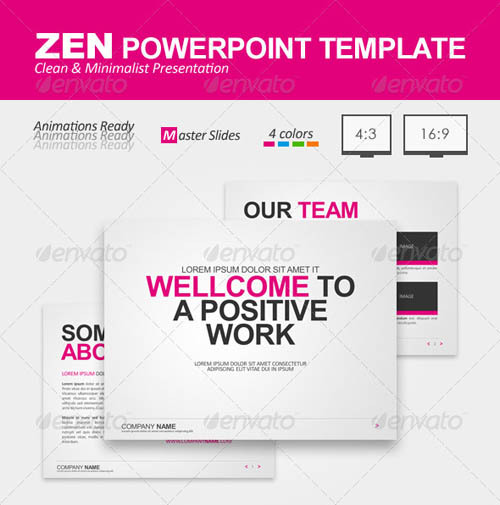 The Zen PowerPoint presentation contains 14 animated slides and has been created with Master Slides to make the “add new slide” process easier and faster, without needing to copy-&-paste the content of a previous slide. 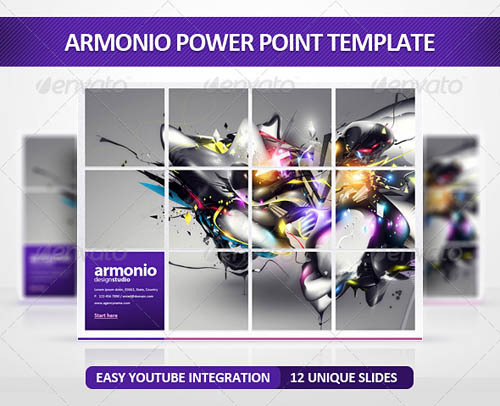 Clean, professional Power Point template with 23 unique slides. Template is perfect for business, personal and corporate use. 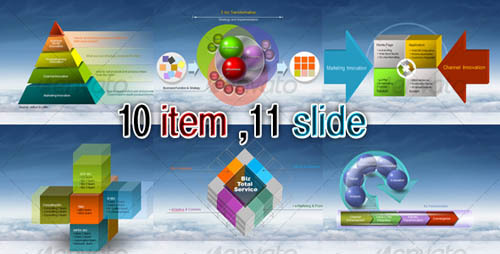 Very easy to edit content and change colors both in Power Point and Photoshop files with 11 slides included. 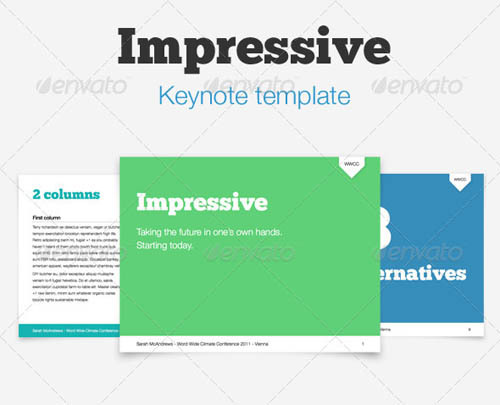 Impressive Keynote template is a modern, professional template for Apple Keynote ‘09. 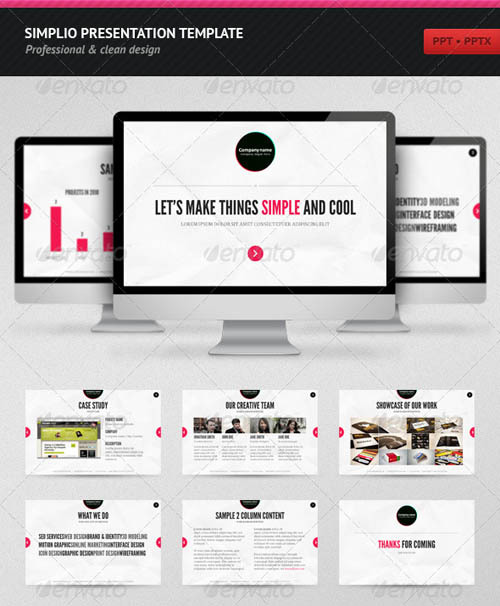 The template includes 12 slides for speeches, case studies, graphs, tables and regular text. 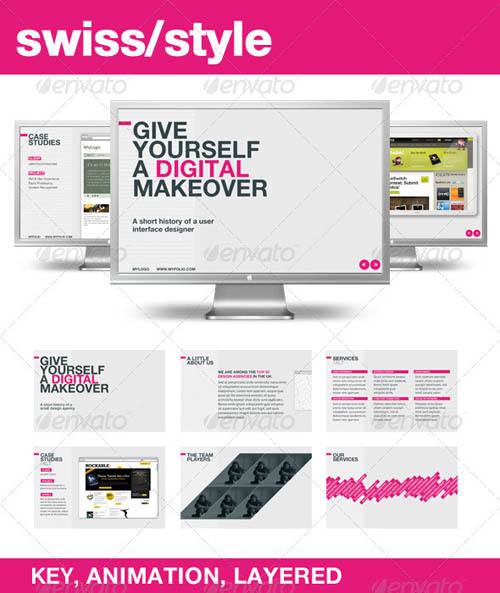 The template uses three color schemes, bold typography using ChunkFive and Helvetivca and is easily customizable.